Cornwall's historic home owners and tourism bosses are being urged to make more of the area's supernatural credentials. The county has many mystic sites, but some feel it could do more to attract visitors interested in the paranormal. South West Tourism collects details of accommodation which may be haunted because many holidaymakers specifically ask to stay in such places. Chief executive Malcolm Bell said it was an indication of a growing market. "The holiday industry is becoming very segmented into people' s interests, as shown by the recent facts and figures on surfing holidays," he said. "The idea and desire to discover more about the unknown is very strong and, given that Cornwall's history is steeped in myths and legends, it's attracting people who have a desire to explain the unexplainable." There are said to be more than 20 separate presences at Pengersick Castle, near Penzance, including a ghostly 14th Century monk, a 13-year-old girl who danced to her death off the battlements and a four-year-old boy who tugs at visitors' clothes. 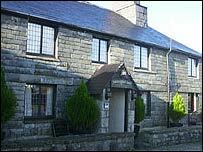 The famous old Jamaica Inn at Bolventor, near Bodmin, has an equally well-known story of a haunting. Graham King, the owner of the Museum of Witchcraft in Boscastle, said sensitive marketing could reap rewards. "You don't want crass promotion of this sort of thing," he said. "It's lovely to have people coming along who are interested in spirituality and the Celtic connection and appeal of these wonderful Celtic lands, but you don't want to over-exploit it because you could spoil it." Angela Evans, from Pengersick Castle, hosts ghost trails at the property. She said she saw nothing wrong with trading on peoples' desire to be spooked.